York Regional Police say a ransom demand was made in the case of Wanzhen Lu, a Chinese international student who was abducted by a group of masked men in a Markham, Ont., parking garage on March 23. “We cannot provide further details as it’s now evidence before the courts,” he said via text. One of four suspects wanted in connection with the abduction turned himself in to police this week. A Canada-wide warrant was issued Monday for Abdullahi Adan, 37, of Toronto, who was wanted on four charges: kidnapping, forcible confinement, assault with a weapon and assault. Adan turned himself in overnight, York Regional Police Const. Andy Pattenden confirmed to CBC Toronto early Tuesday. “It’s definitely just due to the ongoing pressure, I’m sure, from the public, from the media, from social media, as well as our investigators who are working diligently to find all the suspects,” Pattenden said in a telephone interview. Adan appeared in court via video link in Newmarket, about 50 kilometres north of Toronto, Tuesday morning. His case was put over to Friday. The CBC has confirmed that he owned a unit in that Markham condominium building where he was forced into a van. Records show he purchased the unit outright in 2018. Police had also previously confirmed that Lu drove several luxury cars, and on Tuesday, CBC confirmed that there are liens against him in connection to four vehicles: a Ferrari 488 GTB, a Lamborghini Huracan, a Rolls Royce Wraith and a Land Rover Range Rover Velar, which documents show he was leasing. 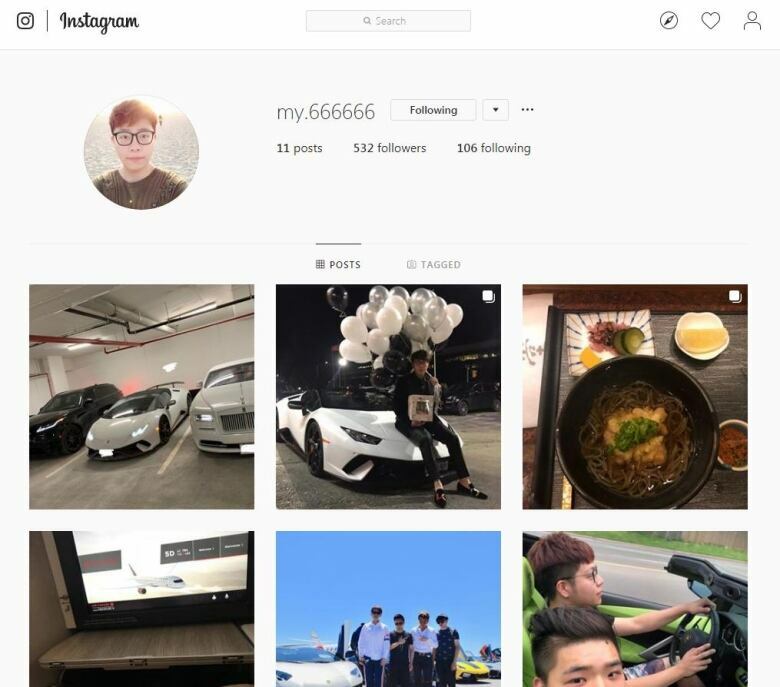 Photographs from an Instagram account, since deleted, appear to show Lu with the same cars. He has also been photographed in what appears to be high-end designer clothing. Lu, a Chinese national, is enrolled in a bachelor of business administration program at Yorkville University, a private institution with locations in Toronto, New Brunswick and British Columbia. Pattenden said investigators are “working closely” with the Lu family, who flew in from China after Lu was reported missing. Adan was the first suspect to be named after surveillance cameras recorded three masked men taking Lu, 22, from the parking garage of a condominium building in Markham, around 6 p.m. ET on March 23. On March 26, Lu was found alive after knocking on the door of a home in Gravenhurst, Ont., almost 200 kilometres away from where he was taken. Police are advising the remaining suspects to seek legal counsel and turn themselves in. Police are also asking members of the public to contact them if they have any information about the investigation. The suspects are all described as male. One suspect is described as wearing a mask with blue pants and a jacket. The second has dark skin, is six feet one inch tall and was wearing a black Canada Goose jacket. The third was wearing a green and yellow jacket with a hood.